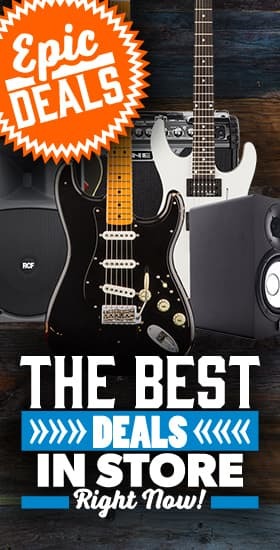 Epiphone - Andertons Music Co.
Epiphone are licensed to produce Epiphone Guitars using Gibson's extensive design knowledge. 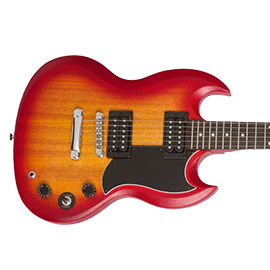 By combining years of history with modern production techniques, you can buy an Epiphone guitar that doesn't compromise on sound or playability at a very sensible price. The Epiphone story goes way back to 1873 where founder, Anastasios Stathopoulos, started making his own fiddles and lutes in Turkey. Fast forward to World War I and they began making banjos. 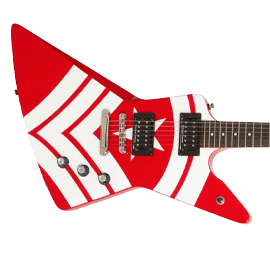 The company only started making their first guitars in 1928 and after a few more years relocated to America where it all took off for the Epiphone brand. Especially when the company was acquired by CMI who also owned Gibson. 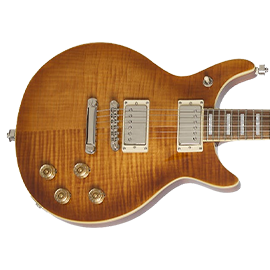 The first Epiphone guitars were built alongside Gibson in a factory next door. This is why there are so many similarities between the instruments. Like the Gibson ES-335 and the Sheraton or the Epiphone Texan and the Gibson J-45. This is until they moved production to Japan in the 70s. In an ever-growing market, they then relocated to Korea but due to pollution laws had to shut down their factory. Which is why Gibson opened a factory in Qingdao, China which is where Epiphone guitars are now made. 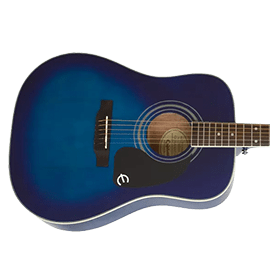 The Epiphone range is vast across the acoustic and electric realm as well as their bass offering. 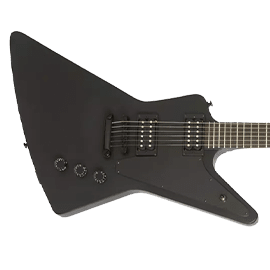 And generally, if there’s a Gibson shape you like, you’ll be able to find a similar Epiphone at a more affordable price. 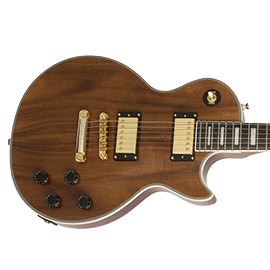 They have got many versions of the classic Les Paul including modernized versions with active pickups or more classic Les Pauls honouring the older Gibson guitars. 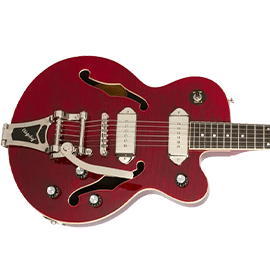 As well as hollowbodies like the Sheraton, ES-339 and the Casino (which was actually the guitar used by John Lennon from The Beatles).